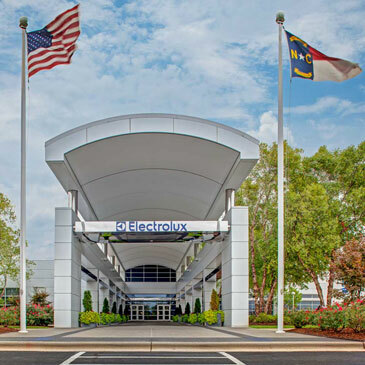 CHARLOTTE, NC, July 29, 2013 – Electrolux Major Appliances North America announced today the hire of Daren Couture as Senior Vice President of End-to-End Supply Chain. Couture will oversee the company’s supply chain and nine manufacturing facilities in North America, including the newest cooking appliances facility located in Memphis, Tenn.
Couture joins Electrolux with more than 20 years of experience in manufacturing operations and supply chain management. He most recently served as Senior Vice President of Global Operations for Danaher Corporation, where he led manufacturing, procurement, service and supply chain for the company’s platform serving the test and measurement markets. Earlier in his career, Couture held several positions at Newell Rubbermaid working with brands including Sharpie, Paper Mate, Waterman, Parker, DYMO, Rolodex, Mimio and Card Scan. Couture holds a bachelor’s degree in Applied Arts and Science from Rochester Institute of Technology with a concentration in Quality and Manufacturing Management, Reliability and Project Management.